Those were the words of thirteen-year-old Cole Pederson, before the kickoff event for the Bishop Pinkham Junior High Shave Your Lid for a Kid® event in memory of one of his best friends, Edyn. 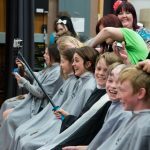 In the coming weeks, our staff would find themselves both blown away by the fundraising support for Kids Cancer Care and overwhelmed by the sheer number of students whose heads we had to shave. We were given a window of two hours to shave or cut the hair of 100 students, teachers and parents. And we had to keep a gymnasium full of junior high students engaged in the event. The largest school event previous to this had less than half the participants. How were we going to make this happen? Shave Your Lid for a Kid® show children facing cancer that they are not alone, all while raising vital funds for initiatives like research to change the course of the disease. “Shavees” as we call them come together in a community of support. 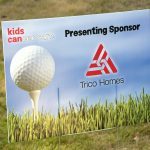 Our presenting sponsor of Shave Your Lid for a Kid®, Trico Homes, is very familiar with building communities. 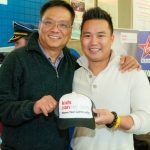 Founder Wayne Chiu has always known that his company is more than building the physical structure of a house. 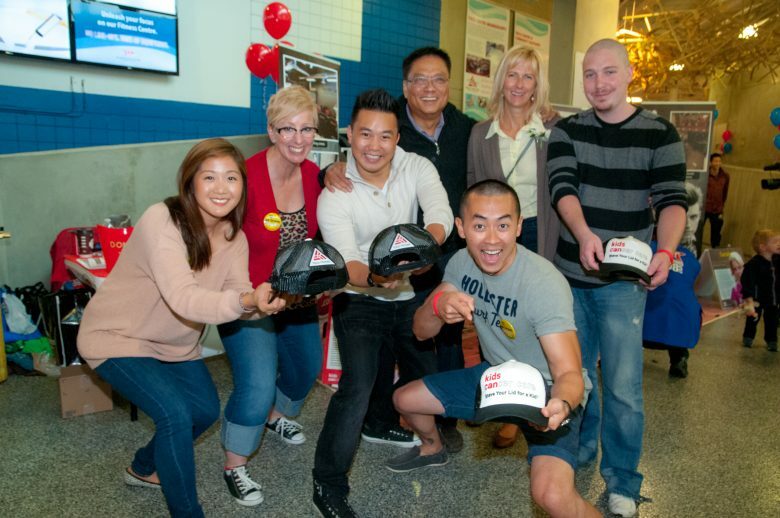 Trico Homes volunteers and fundraisers at the 2nd Annual Community Shave in 2014. 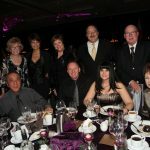 It was this passion that brought Wayne into his first meeting with Kids Cancer Care founder and CEO Christine McIver in 1999. 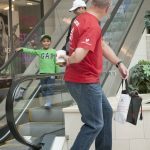 After finding out that the children of two of his business contacts had been diagnosed with cancer, he knew he had to do something. 2010 Ride for a Lifetime group shot. “Wayne wanted no fanfare. He just wanted to help,” says Christine. 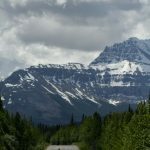 “One of his employees suggested doing a motorcycle ride to raise money. 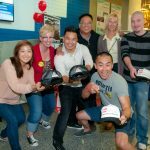 In the inaugural year of Ride for a Lifetime, Wayne sponsored every rider for $1000.” A Kids Cancer Care signature event for 10 years and now a third party fundraising initiative, the Ride for a Lifetime has since raised over $2.6 million for pediatric cancer research programs. For almost two decades, Trico has been heavily involved behind the scenes in Kids Cancer Care’s growth. 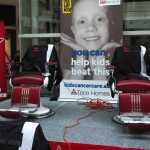 Trico Homes has been the presenting sponsor of the Shave Your Lid for a Kid® since its inception in 1999. 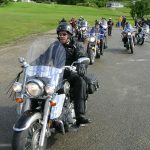 After sponsoring Ride for a Lifetime for a number of years, when Kids Cancer Care began supporting childhood cancer research, Wayne committed to giving $100,000 a year to research. Trico then became the presenting sponsor of the Don, Joanne and the Coach Golf a Kid to Camp tournament. 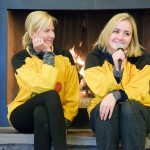 When Kids Cancer Care began exploring the possibility of running Camp Kindle as a social enterprise, the Trico Foundation gave Camp Kindle its first grant. You can always count on family to be there for you at every major milestone and event. Wanda herself is one of these volunteers. 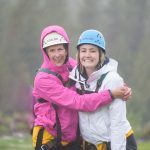 Wanda volunteered to represent Trico Homes at a High Hopes Challenge, raising over $10,500 for Kids Cancer Care, and being paired with a bereaved sibling to experience a week of camp in one day. Wanda Palmer and her High Hopes Kid Coach, Ali. 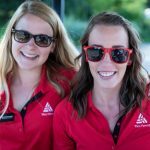 Everyone at Trico Homes is given the chance to volunteer and participate. 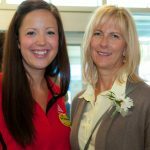 They mandate sending different staff, from all departments and seniority levels, to the Don, Joanne and the Coach Golf a Kid to Camp tournament each year. 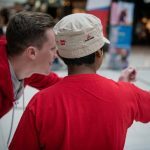 Everyone is given the chance to experience the Kids Cancer Care community. 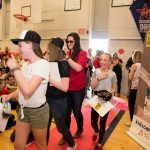 So in April 2015, in the Bishop Pinkham gymnasium, when faced with the largest event in the 17-years of Shave Your Lid for a Kid®, there were some familiar faces in the crowd. As they always were, no matter the size of the event, Trico employees were there to help. We put them to work handing out goodies to all the shavees and we even encouraged them to partake in the flash mob! 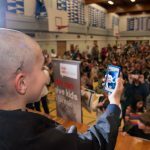 Trico volunteer takes a photo of Edyn’s brother shaving a teacher’s head at Bishop Pinkham Junior High in 2015. 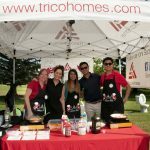 Trico Homes knows how important volunteering and seeing the return on their social investment has on their employees. 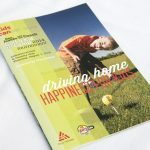 Kids Cancer Care is so grateful to Wayne, Wanda and the entire team at Trico Homes for their continued dedication to families affected by childhood cancer! 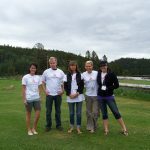 Trico Homes visits Camp Kindle in 2010. 2014 Don, Joanne and the Coach Golf a Kid to Camp tournament. Wanda speaks at the 2nd Annual Community Shave. Trico Homes volunteer works the donation jar at an event. 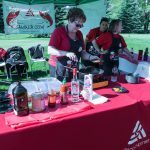 The Community Shave set up in 2014. Parade past the Trico Homes Shave Your Lid for a Kid® banner at Bishop Pinkham in 2015. 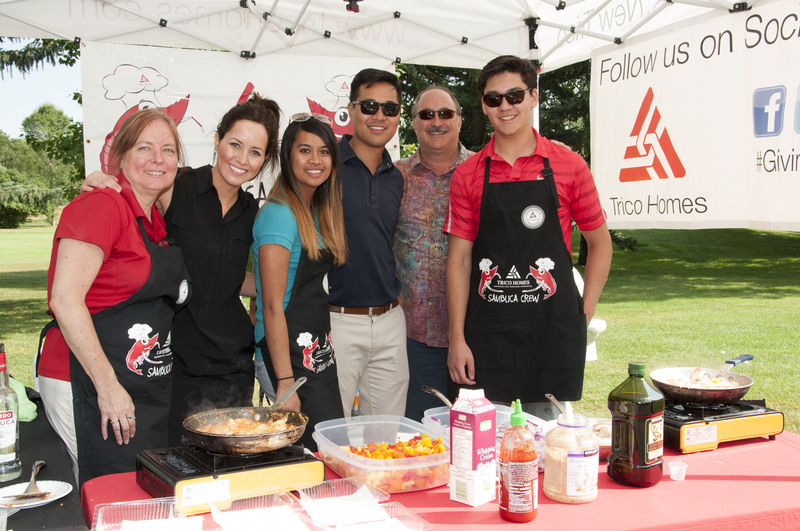 Trico volunteers at the 2014 tournament. Trico Homes hole at the 2014 Don, Joanne and the Coach Golf a Kid to Camp tournament. 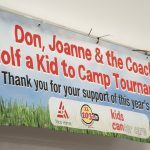 2015 Don, Joanne and the Coach Golf a Kid to Camp tournament. Wanda and Ali at The High Hopes Challenge in 2015. Wanda and Ali in the rain at The High Hopes Challenge. 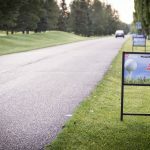 Trico Homes hole at the 22nd Annual Don, Joanne and the Coach Golf a Kid to Camp. Donate Please give generously by making a one-time gift or by joining the League of Superheroes Monthly Giving Program and make a huge impact over time. 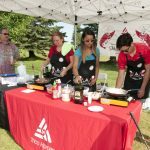 Fundraise Become one of many Albertans hosting fundraising events on our behalf and show kids with cancer you care. 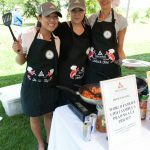 A community fundraising event can be as big or as small as you like. 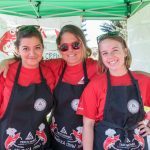 Whether it’s a chili cook-off or bake sale at work, it’s all fun and helps the kids. 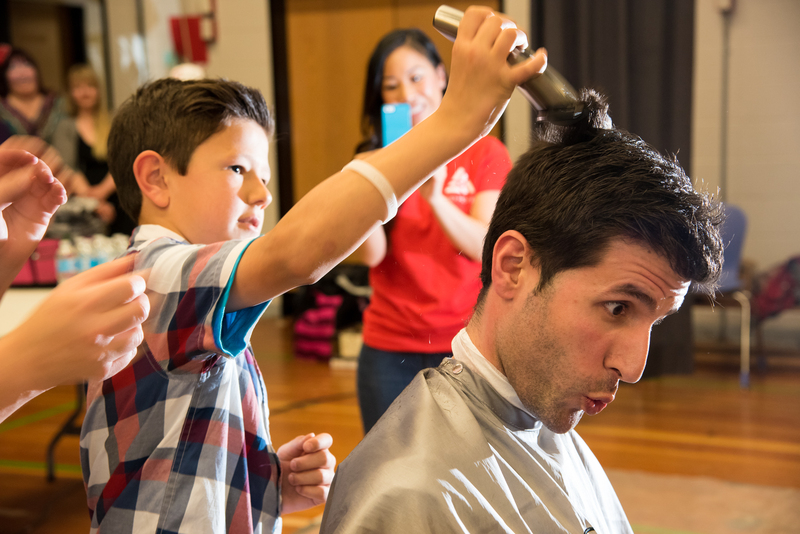 Shave Your Lid for a Kid® Lose your hair and show support for kids who lose theirs during cancer treatment. Motivate your friends and colleagues, collect pledges and shave your lid. #BaldIsBeautiful! 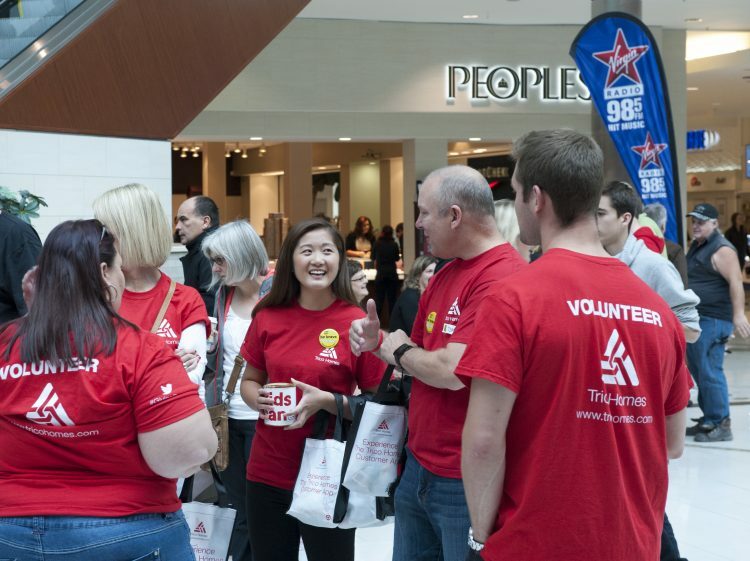 Volunteer Volunteers are active on the frontlines and behind the scenes at Kids Cancer Care. Whether you enjoy working with children or prefer the allure of special events, we have a place for you. Give More Birthdays Make your birthday even more of a celebration by pledging your special day to kids affected by childhood cancer! Ask for donations to Kids Cancer Care in lieu of gifts and help give kids with cancer a lifetime of birthdays. Spread the Word Our greatest resource is you — our dedicated community of supporters. Tell your friends, family and colleagues about Kids Cancer Care’s work to help families touched by childhood cancer. You can also follow us and share our posts on Facebook, Twitter, Instagram and Youtube. Cancer may have started the fight, but I’m finishing it! 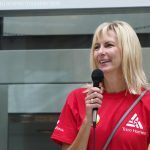 We are honoured to serve Alberta children and families affected by cancer. Your stories of courage and hope inspire our work and the support of countless childhood cancer champions who make our work possible. Whether you are a family or a champion, we invite you to share your story with us. We ask that you keep stories to a maximum of 1,500 words. Photos and videos are welcome. Thank you for sharing. Registered charity #899409171RR0001 Copyright © 2017 Kids Cancer Care. All rights reserved.